Katie Turk at Nationals, where she was 15th overall. Photo ProvidedNEW YORK – And yet another sterling performance for Carmel High School sophomore Katie Turk. The long distance runner finished fourth in her heat and 15th overall on Friday in the gir… Please login below or purchase a subscription to the Putnam County Courier to access this content. 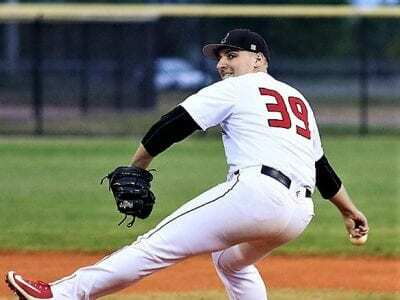 Christopher Palmiero on the mound for Rensselaer Polytechnic Institute. Photo ProvidedTROY – Carmel High School graduate and Patterson resident Christopher Palmiero has been selected for a weekly award by the Liberty League. Palmiero, a right-handed … Please login below or purchase a subscription to the Putnam County Courier to access this content. Section 1 officials announced that the postseason tournament will move to a double elimination format in Classes AA, A and B starting with this upcoming season. The change doesn’t affect Haldane – the section experimented with the double elimination … Please login below or purchase a subscription to the Putnam County Courier to access this content. 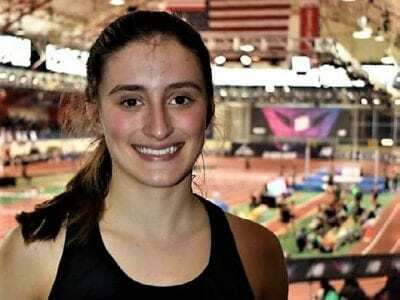 NEW YORK – Another big event, another big showing by members of the Carmel High School girls’ track team. This time it was Saturday’s New York State Public High School Athletic Association Indoor Track State Championships, held at the Ocean Breeze Tr… Please login below or purchase a subscription to the Putnam County Courier to access this content. Welcome to …. spring?!?! Yes, that is a head-scratching question, not a definitive statement. High school sports in Section 1 were to begin official practices for the spring season on Monday, March 4, but Mother Nature had other ideas, hitting us wi… Please login below or purchase a subscription to the Putnam County Courier to access this content. Photos by Jim Franco Ben Rivera, of Carmel, wrestles against Jeff Geller, of McKee Staten Island Prep, during the second round of the Division 1, 170-pound class at the New York State Wrestling Championship at the Times Union Center in Albany on Feb…. Please login below or purchase a subscription to the Putnam County Courier to access this content. BARDONIA – Mahopac High School’s time in the Section 1, Class AA girls’ basketball tournament turned out to be short. The Indians, seeded 14th, fell to No. 3 Albertus Magnus on Thursday, 70-56, in a game closer than the final score indicated. Zina Mc… Please login below or purchase a subscription to the Putnam County Courier to access this content.